The Toyota F series engine was a series of OHV inline-6-cylinder engines produced by Toyota between 1955 and 1992. They are known for their high amount of torque at low RPM, massive cast-iron blocks and heads and also their high reliability. The F Engine had one of the longest production runs of any Toyota engine. The F engines all incorporate overhead valves actuated by pushrods from a gear driven camshaft in the lower portion of the engine. The engine was first introduced in the Land Cruiser, and in many countries, was the only engines offered in the Landcruiser until 1993. Although it's commonly badged as the Land Cruiser engine, it was used in a variety of other large truck applications as well, such as in fire trucks and the Toyota FQ15 trucks. It was also used in the Crown-based Japanese police patrol cars FH26 and FS20-FS50. The F engine is a 3.9-liter, 75/93 kW (105/125 hp), carburated gasoline/petrol engine that is capable of 261/289 N·m (189/209 lb·ft) of torque at 2000 RPM; the difference in power and torque is different depending on the export destination. The original design was started in the early 1950s when Toyota had begun to export their vehicles internationally. 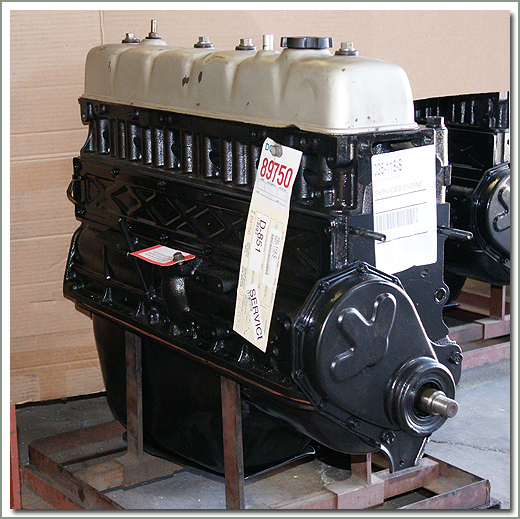 The F engine block, crankshaft and lower end assembly is loosely based on the 1939-63 G.M.C. 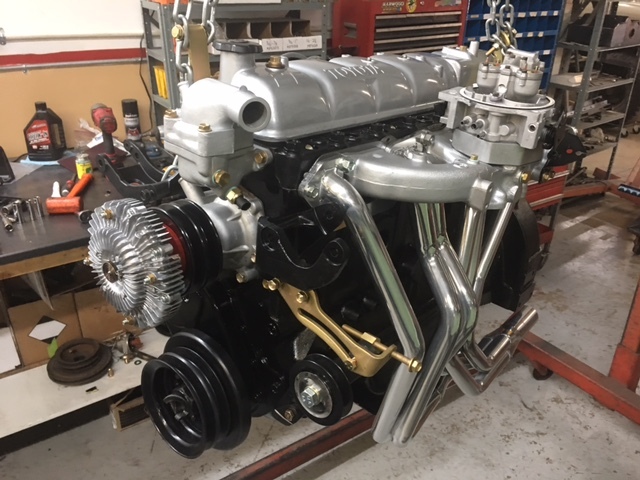 L6 OHV 235 engine but with a taller deck (rather than the similar but smaller Chevrolet 1937-63 Gen-2 L6 OHV engine), and built under license. The cylinder head and combustion chamber is derived from the Chevrolet L6 OHV "stovebolt" engine, slightly scaled up. The general idea was consumers would feel comfortable with the engine since it was a familiar design and had a proven track record. None of the bottom end of the engine is interchangeable with these engines. The 2H is a 4.0 L (3980 cc) inline 6, 12 valve OHV diesel engine. Bore is 91 mm and stroke is 102 mm, with a compression ratio of 20.7:1. Output is 103 hp (77 kW) at 3500 rpm - later production years 107 hp (80 kW) with 177 ft·lbf (240 N·m) of torque at 2000 rpm.